The Monte-Carlo Rolex Masters gets underway this weekend, and the top players in the tennis world will be descending on Monaco. The annual ATP 1000 tennis tournament in Monte-Carlo (well, Roquebrune Cap-Martin, France, to be precise) attracts the biggest names in the tennis world every year. Being the first major tournament on the European calendar, all eyes are drawn to the Principality for the week-long event. To give you a flavour of the lead up to the tournament, we have put together a little pictorial spread, as Monaco once again welcomes the tennis world. 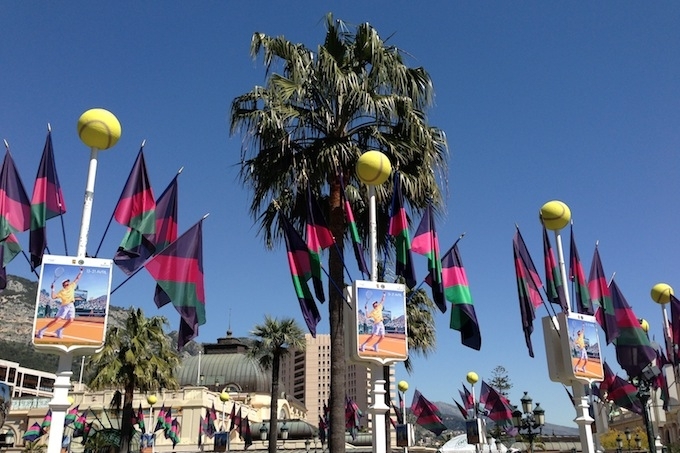 From Place du Casino to the Monte-Carlo Country Club, the Principality has gone tennis mad!